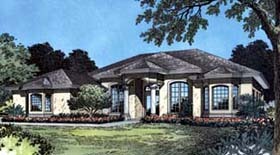 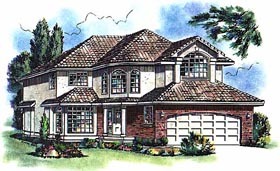 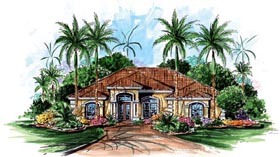 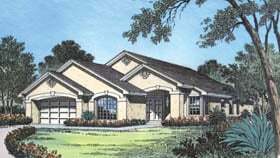 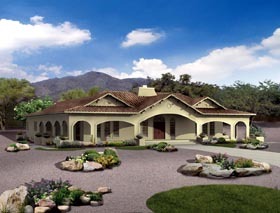 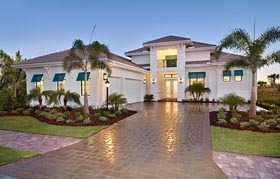 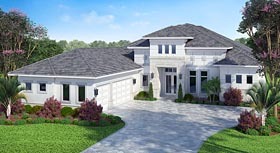 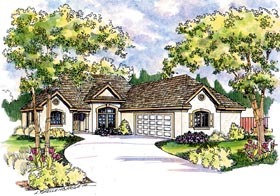 The Mediterranean home plans are often found in warmer climates. 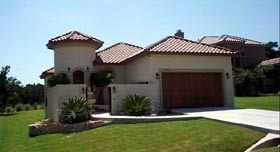 Mediterranean homes are usually identified by their shallow-pitch roofs with wide overhangs that help to cool the home. 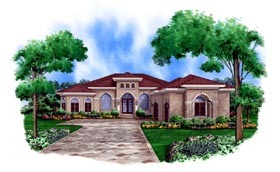 Typically, the Mediterranean style house is designed with a stucco façade, tiled roof and outer courtyard. 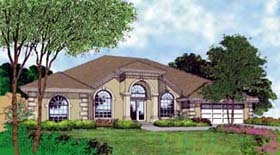 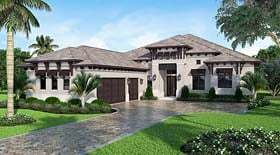 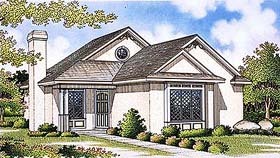 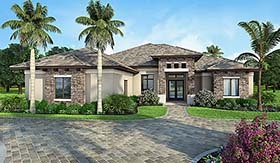 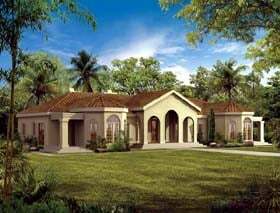 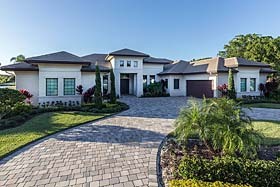 Mediterranean style house plans reflect the relaxed, outdoor-loving lifestyle of the region from which they get their name.